This entry was posted in GoMamaGuidance and tagged admissions, application deadlines, eChoices, Gifted and Talented, Gifted eligibility, LAUSD, lottery deadlines, magnet, Magnet application, Magnet lottery, Magnet Points, Magnet programs, Magnet Schools, Public School Choice, school choice, school enrollment, School Lottery by gomama. Bookmark the permalink. Hi l have a son currently enrolled in a magnet school. We got the call the Thursday before school started the following week on Tuesday. However, my daughter who is in first grade was not selected to attend. I have since filled out a sibling permit and presented it to the magnet school and was told that they do not accpet sibling permits and that they were only accepting kids that live in the area. My daughter is also on the waiting list with points accumulated. Is there still a way for my child to be able to attend the same school magnet school as her brother? 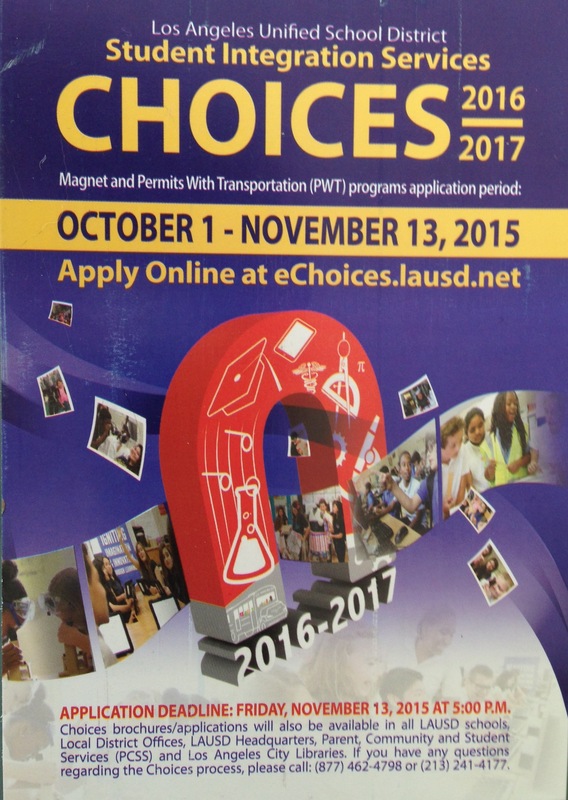 Hi Edrickcan Loox, admission to the magnet program is by the eChoices points-based lottery only. If she did not get offered a spot this year, you can try again next year where she will have additional sibling points. If you need further assistance, please email me at gomama@mac.com and we can set up a consultation. Thanks and good luck! My 1st grade son is wait-listed for a gifted magnet. He has 0 points going in. If we fill out a “Magnet Late Application” for another school to maximize his chances, will he lose his place on the original school he’s wait-listed for?